OK I did it. I pulled the trigger. After 20 years, I abandoned Verizon Wireless and switched my phone account to Google Fi. What the Fi is that, I hear you ask? I didn't know either until a few months ago when a friend (a clever friend, an engineer) told me Google Fi is cheap cell service — like $20 a month plus some extras. It sounded like a great deal. I've been paying $180 a month (including $30 for the phone I half own) for a long time. I was hanging on because I had "unlimited data." I was grandfathered in and felt so proud of it. No throttling for me. I used it as a hotspot and I'd happily burn through 80, 100, 140 gigabytes of mobile data a month. I imagined I was the bane of Verizon's life and they would do anything to drag me to a restricted plan, like a mere mortal. (Like my kids, who share 2 GB of mobile data amongst four people.) And yes, sometimes the customer service person on the phone would remark 'Ooh my, that's a lot of data!' but wouldn't try and force me to change. I know the plans wanted me off, but the people didn't. In the end I just got tired of paying $180 a month. Google Fi sounded cheaper. $20 for unlimited text and calls (pretty standard now). $15 for something else (connection fee?) $30 for a new phone (I can get $230 back on my Pixel 2, if I pay the balance to Verizon, $327). $10 per GB of data up to 6 GB, after which it's free. (That makes no sense. Supply and demand, Google? Hello?) Like a tax-cutting politician, I figured it would pay for itself within a few months. My due diligence (aside from four months of tire kicking, clicking around online and hovering over the buy button) consisted of texting my friend and making two calls. One was to Verizon, just to check they wouldn't hit me with a leaving fee. Last time I checked it was $250. I imagined in my case it would now be more like $2,500. But I was not on a contract, so I was in the clear. The clerk who spoke to me, however, was useless. She confused gigabytes with megabytes and megabytes with minutes. She had no urgency and kept putting me on hold while she read through my plan. This wasn't the crisp, acrimonious send-off I was expecting. With little to lose, I made my second call to Google Fi, but their wait time was hours, so I quit. I tried emailing Google Fi mainly to see if they would fall over themselves trying to convert me, but all I got was a 'Thanks we got your email now wait' email. You'd think Google, the kings of email, would be able to do better than that. So, as with many important decisions, I said F-it, let's go. There was a Google Fi app to download. Strange. After clicking a few more yeses I wasn't sure if I was signed up or not. Then my phone stopped working, so I knew I must be. I had to switch to Wi-Fi to get back in touch. I hit activate and watched the blue circle chasing its tail for one, two, three, four minutes. The teaser read: "This takes a minute or two, sometimes longer." I felt either I was going to have a cheap new phone that worked everywhere in the world for practically nothing *, or I would have a few days without a phone while I went groveling back to the Verizon store. I should point out that Google Fi is just like Metro PCS: your signal just piggybacks on whatever LTE tower is nearby. You kind of bounce around. There was the faint suggestion that service might not be always perfect. As Google put it, "It works by giving you mobile data service on three mobile networks (T-Mobile, Sprint and U.S. Cellular), which your phone will intelligently switch between — it also uses Wi-Fi to make calls and send texts whenever available. ... Google Fi is focused on simplified billing." Waiting around, bored, I took Google up on its offer to tune up my SIM card. Imagine if a Chinese company was asking to maximize coverage? Would you go along with it? I don't think so. But I collapsed backwards into the tentacles of Google. I always have. It's like one of those religions where the main thing is you promise to submit, I just did. I totally forgot about voice mail. That was a Verizon thing. I wondered what other creature comforts Verizon offered that I had taken for granted? Friendly faces in polo shirts? Caller ID? Inscrutable paper bills? "Hi there, thanks for reaching out to Google Fi support. We are pretty busy today. Please visit support.google.com/fi/community for more information on order shipment status, our recent promotions, activation issues and trade-ins. If you're contacting us about a different issue, please reply to this email and one of our specialists will get back to you as soon as we can. Thanks for your patience. The Google Fi Support Team"
I think Google's problem is they think software should be able to take care of everything — and it usually does. Look how we all rely on Google Docs, Gmail, and YouTube. But when it fails, they don't have enough live people to deal with the complainers. That's why you get referred to a forum. That might work for nerds on GitHub, but it's no good for busy people who don't want to trawl through thousands of irrelevant messages. My problem as a Google customer, is I want everything cheap or free*. There followed a couple of days without phone service. I listed all the things I'd taken for granted: Google maps, Parking Kitty, work email, talking to people, texting… Then I figured out I had entered only part of my Verizon account number in the phone transfer section, and that is why Google's bots were rightly rejecting it. Once I put the correct number in, the transfer sailed through in about 15 seconds. Now I am in the odd place of having to live on Wi-Fi and about 2 gigabytes of mobile data per month. That means no more Google Maps, no more spontaneous Spotify, and apparently no more texting photos. Instagram be gone. Voice and text are working fine as of four days after pulling the trigger. I'm still waiting to hear back from a Google's human. 1. Don't expect customer service from software/bots. Elon Musk started replacing the robots in his Tesla Model 3 factory with humans when he realized human workers are more adaptable than robots. 2. You get what you pay for. Whether paying with your personal data gets you more, I don't know. I just hope Google, which knows everything, doesn't let being too big to fail go to its head. 3. I am a creature of this age. Like a politician who looks at the scientific consensus and says, "Man-made climate change? It's all a hoax!" 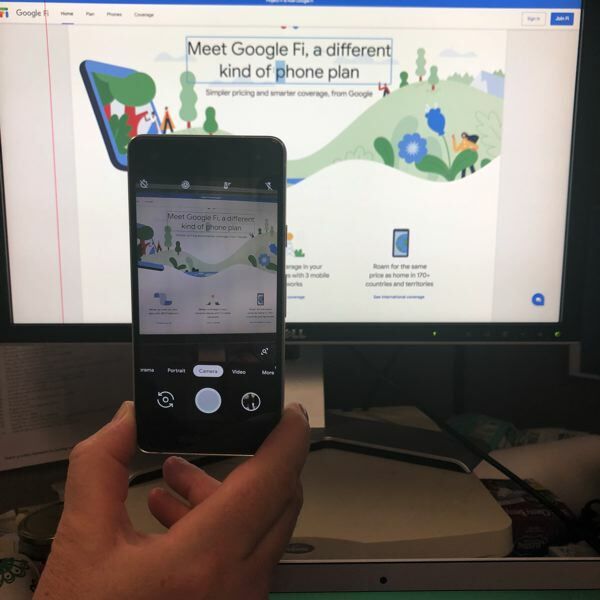 when it came to Google Fi, I skipped the due diligence, crossed my fingers and went with my gut. All of which suggests Amazon might be delivering things too quickly. The pinot noir I can see, but who needs a foam massage ball in nine minutes? Amazon owns Twitch, the video streaming service, which makes it easier for the general public to watch professional gamers playing, and to reward them with cash subscriptions. "Wanna know the power of @TwitchPrime and @FortniteGame? I gained 30,000 subscribers in 8 hours … This growth is seriously mind boggling." And in ye olde world of books, "Black Panther" was Prime Reading's most beloved comic-to-movie adaptation; half of Prime Reading's top 10 most-read books this year were mystery novels, including "Say You're Sorry," the most read book of the year, and poet behind last year's hit "Milk and Honey" was in the top five borrowed list, and her second book, "The Sun and Her Flowers," was also a hit.